Andrew is a Member of the Royal Institution of Chartered Surveyors, a Member of the Society of Technical Analysts, a PropTech leader and YOLO evangelist (You Only List Once). 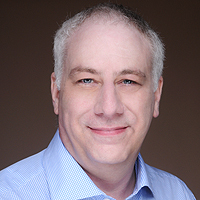 Andrew specialises in Data Driven Business Models and Big Data. He has worked in private and institutional real estate management; residential and agricultural sales; residential and commercial property development and is an experienced Forex trader and trainer. He has project managed the privatisation of a government agency from its parent Ministry, including liaison with Government ministers, peers and senior civil servants; rationalisation of the property assets as well as the IT challenges of making over 2,500 staff home based. Andrew is the CEO of CREVALA Ltd, the company behind PropertyMutual, and is one of the three Executive Board directors of PropertyMutual. Neale is a finance professional with a broad range of expertise in finance, HR & IT. 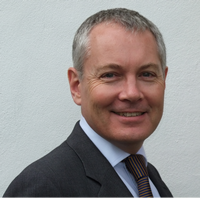 He qualified as a chartered accountant over 25 years ago with Spicer & Pegler in London. Since then he has worked as Controller, Finance Director and Chief Financial Officer in the UK, Kenya, USA & German for a diverse range of companies. Industries include construction, banking, direct mail, integrated circuit software, computer games, television production, insurance software, retail, consumer research, gas production and online services. Specialist areas include listed company accounts, international VAT issues, company voluntary arrangements, system integration, option and share valuations and IFRS conversions. Neale is the CFO of CREVALA Ltd, the company behind PropertyMutual, and is one of the three Executive Board directors of PropertyMutual. David Seacombe is an experienced change and programme director. 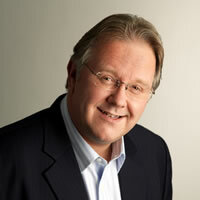 He has extensive experience of technology solutions within National Newspapers, both print and digital. In particular he has specified and implemented lead generation and sales order management systems, as well as new digital advertising services. He has overseen the specification and development of mortgage processing systems for two financial services companies, utilizing web services to automate the interface with property agents, surveyors, underwriters, fund managers and conveyancers. David is aware that new technology requires the business to be ready and able to use it, and ensures that the people and organisations given as much attention as the technical solution. David is the COO of CREVALA Ltd, the company behind PropertyMutual, and is one of the three Executive Board directors of PropertyMutual.